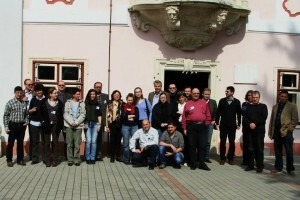 Two team members took part at the The 2nd International Symposium on Representations, Signs and Symbols. Religion and Magic, organized in Deva by the Museum of Dacian and Roman Civilization between the 27thand the 29th of March 2014. One presentation focused on aspects of military cult practices in Roman Dacia, based on a case study from the auxiliary fort barracks. The second one (Pouring the Water, Offering the Wine. Instrumenta Sacra Depicted on Votive Altars from Roman Dacia) analysed another aspect of religion, namely the representations of instrumenta sacra on votive altars from Roman Dacia.